The sound effects are created on the both analogical and digital ways. They are incorporated to the montage in determinated frames to push up the action of the picture. Creating sound landscapes no exclusively musicals, adapted to the necessity of the project. 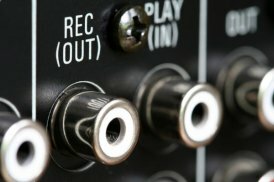 The sound design of pictures with real recording and/or sound maked by synthesizers. Planification and organization of all the sounds of the project to get an appropiate narrative line.